After a chaotic weekend that began with President Trump authorizing a strike on Syria after Bashar al-Assad’s alleged use of chemical weapons, President Putin warned Monday warned that further would result in global “chaos” and put a significant nail in the coffin of international relations. The bombings, hailed by US President Donald Trump as a success but denounced by Damascus and its allies as an act of aggression, marked the biggest intervention by Western countries against Assad and ally Russia. Mr Putin’s comments were published shortly after Russian Deputy Foreign Minister Sergei Ryabkov struck a more conciliatory note by saying Moscow would make every effort to improve political relations with the West. When asked whether Russia was prepared to work with the proposals of Western countries at the UN, Ryabkov told TASS news agency: “Now the political situation is extremely tense, the atmosphere is extremely electrified, so I will not make any predictions. 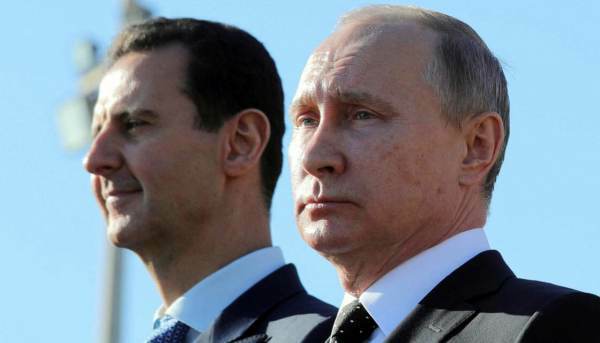 The post WWIII: Putin Warns That Future Strikes In Syria Will Result In Global “Chaos” appeared first on The Gateway Pundit.